Welcome to the StencilGirl and Lindy's Gang blog hop! I'm so glad you found your way here. 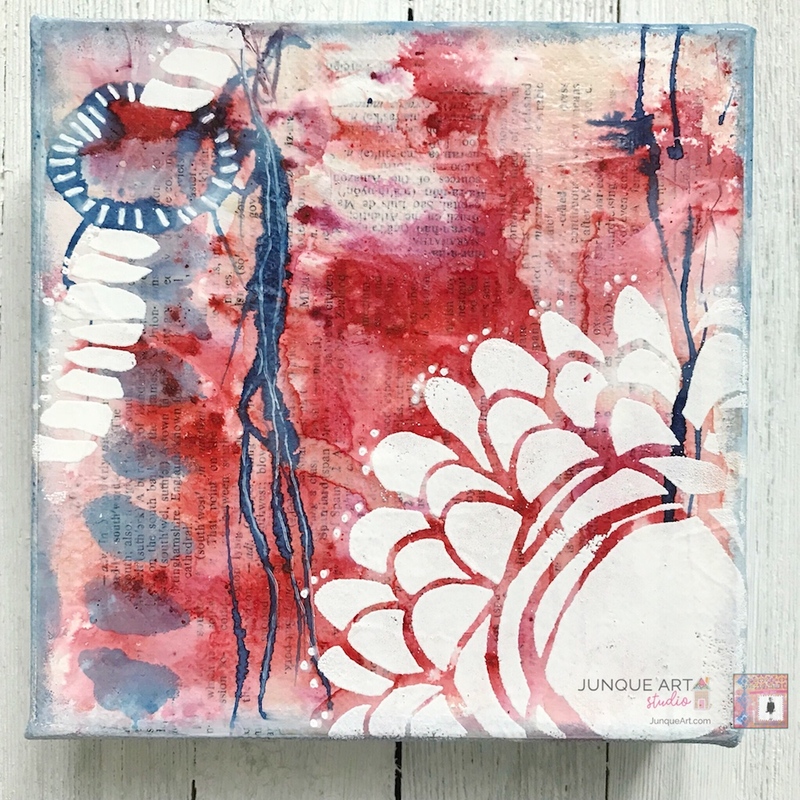 I'm excited to show you how to create an abstract piece of art combining the wonderful products from StencilGirl and Lindy's Gang. It's quick and easy and I hope you will give it a try. First gather your supplies. Here are the things I'll be using but you can use the StencilGirl stencils and Lindy's Gang colors of your choice. Canvas - I used a 6"x6"
Start by covering your canvas with old book paper or the paper of your choice. This is just going to add some interest peeking out from behind the layers. You can use gel medium or a glue stick to adhere the paper to the canvas. Apply gesso on top of the paper. Scrape the gesso so it's thin enough to see through in some places. Let dry. Sprinkle some of the Lindy's Gang magical shakers on your canvas. Then spritz lightly with water and watch the "magic" happen. 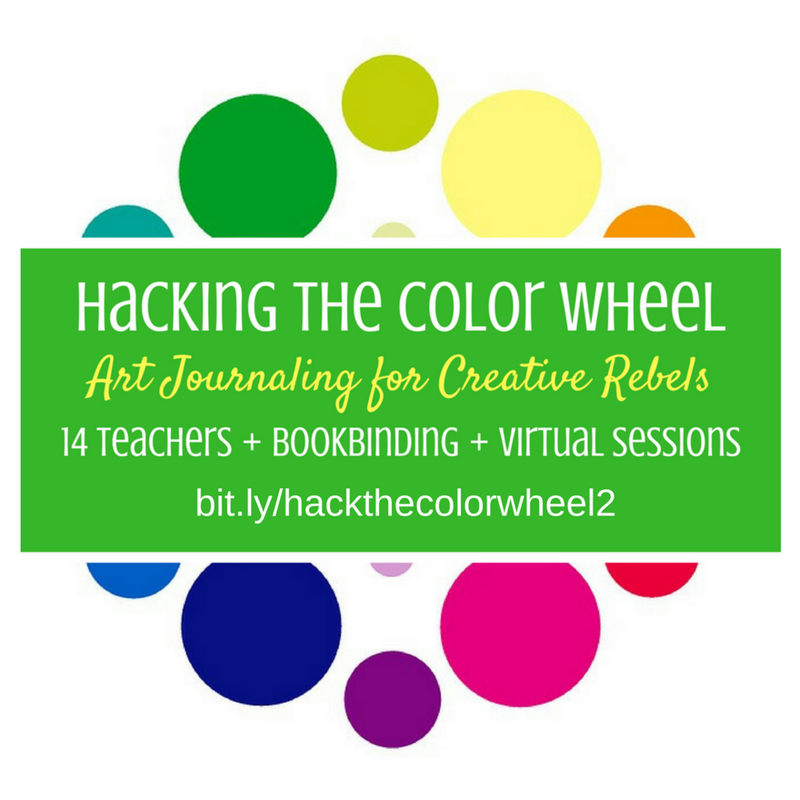 You can play with how the color reacts by tilting the canvas and letting some of it run. So fun! Let dry. Spray Lindy's Flat Fabio spray in a puddle at the top of the canvas. Tilt the canvas to let the spray run down. Let dry. Stencil a shape onto the canvas. Spray the Lindy's Gang flat fabio spray onto a palette. Pick up the color with a sponge and apply through the stencil. You could also spray through the stencil but you don't have as much control of how much color goes on. You can also tape off the stencil so you don't stencil shapes you don't want. Let dry. Don't forget to use your supplies in different ways. Take out the sprayer portion of the Lindy's Gang flat fabio and "draw" or make marks with the color. Let dry. Sprinkle Lindy's Gang embossing powder on top of the wet embossing ink. Shake off excess powder. Tip: shake off on a piece of paper and then fold the paper in half and put excess powder back in container. Use a craft heat gun to heat up the embossing powder. It will turn shiny when completely embossed. So watch carefully and don't overheat a section. Repeat steps 7-10 to stencil and emboss additional shapes on your canvas. Add a border with flat fabio spray and a sponge. Add details with a white sharpie paint pen or pen of your choice. Let dry and you are all done! 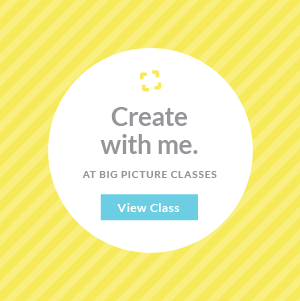 I hope you had fun following along on this quick and easy abstract canvas project! StencilGirl and Lindy's Gang products are a perfect combo to create so many things! Use your imagination and just play! Don't forget to keep reading to enter the giveaway! One lucky winner will receive both a $25 Gift Certificate to Lindy’s Gang AND a $25 Gift Certificate to StencilGirl® Products! Enter to win by leaving a comment below. Then be sure to visit the other blogs in the hop and comment to win. Thank you so much for taking the time to participate in the blog hop! We so appreciate you being here! Good luck in the giveaway!